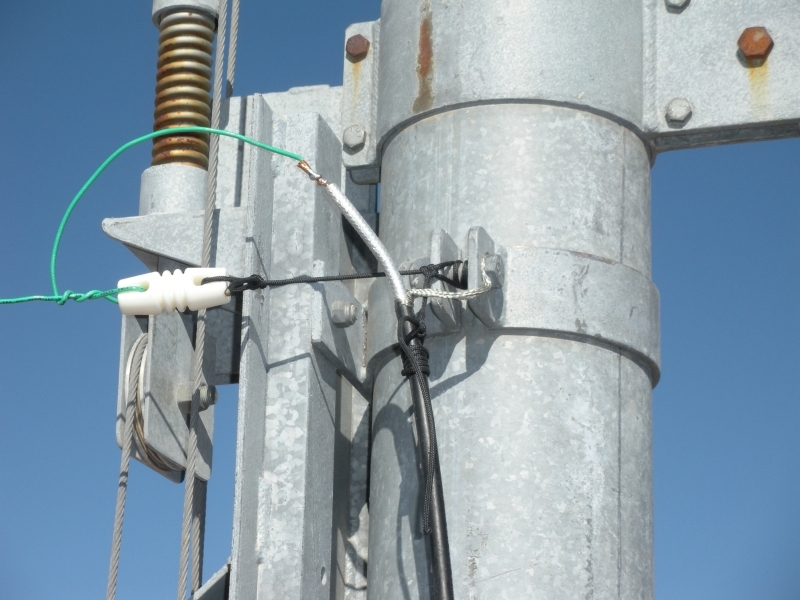 Yesterday I put up a 160m antenna. The only other time I’ve been on 160m was with a 160m coil on a Butternut HF-6V vertical. 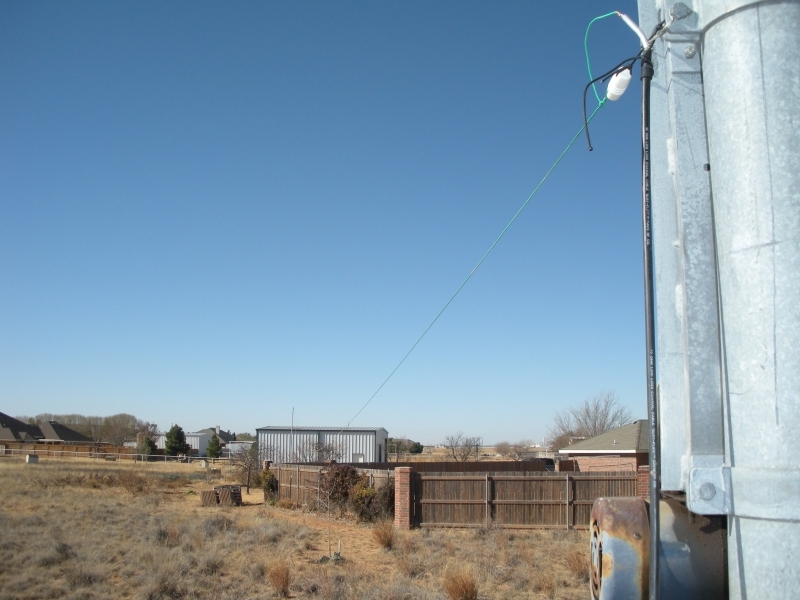 The antenna I installed was copied from W5AJ who got the idea from W5UN. It’s really simple and cheap. I attached the braid of a piece of coax to my MA-550tubular crankup and the center to a piece of #14 insulated wire about 125′ long. I started with 138′ of wire but had to keep cutting it off to get the resonate frequency into the 160m band. 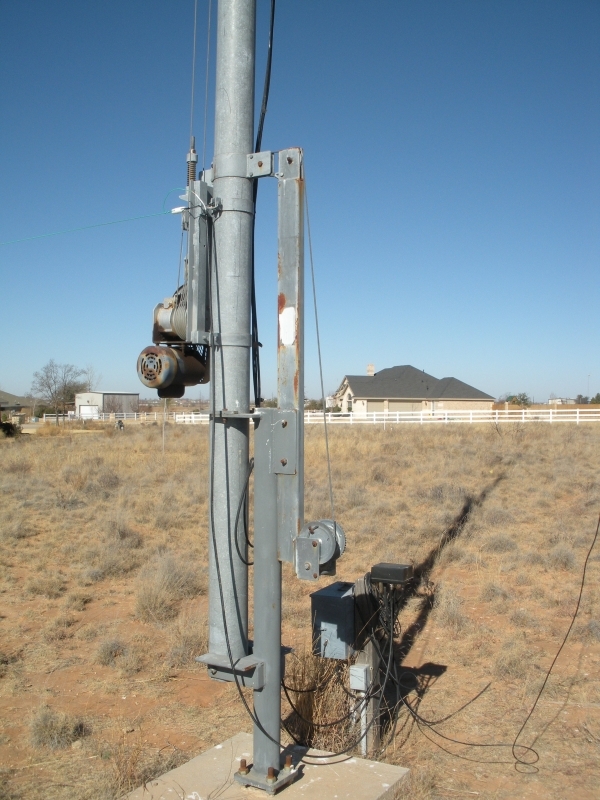 The braid is attached to the tower about 8′ off the ground and the wire runs west from the tower to a pole such that the end is about 10′ off the ground. The center sags to about 6′ off the ground. The tower is cranked up to about 50′. I’m amazed the SWR is 2:1 or below from 1.817 MHz – 1.991 MHz. I suspect with such a broad bandwidth on 160m the antenna is lossy and inefficient. However, I did talk to W5AJ across town last night so it is better than a dummy load! I’m planning to lengthen it just a bit to lower the SWR on the low end of the band. I’ll give it a good test in the CQWW 160m Contest this weekend. If it really works I’ll weather proof the connections.